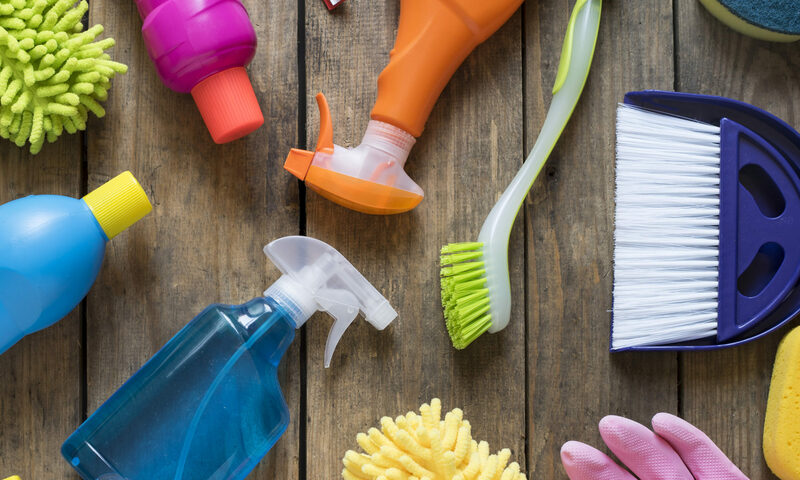 Have a specific area set aside for your cleaning supplies. It will be easier and more enjoyable to clean if your supplies are easy to find and ready to go. Keep your tools clean. Finish your job by cleaning your equipment and storing it properly. Wash out mops, sponges, cloths, etc. and hang to dry. Store your brooms and brushes off their bristles to prevent deformation. Keep your chemical products properly sealed and out of children’s reach. Replace items as soon as they are worn or empty. Nothing is more frustrating than wanting to start a job but not having the proper supplies available. Don’t keep around old, expired, or useless items to clutter up your supplies.